Oval shape playing cards. Germany. 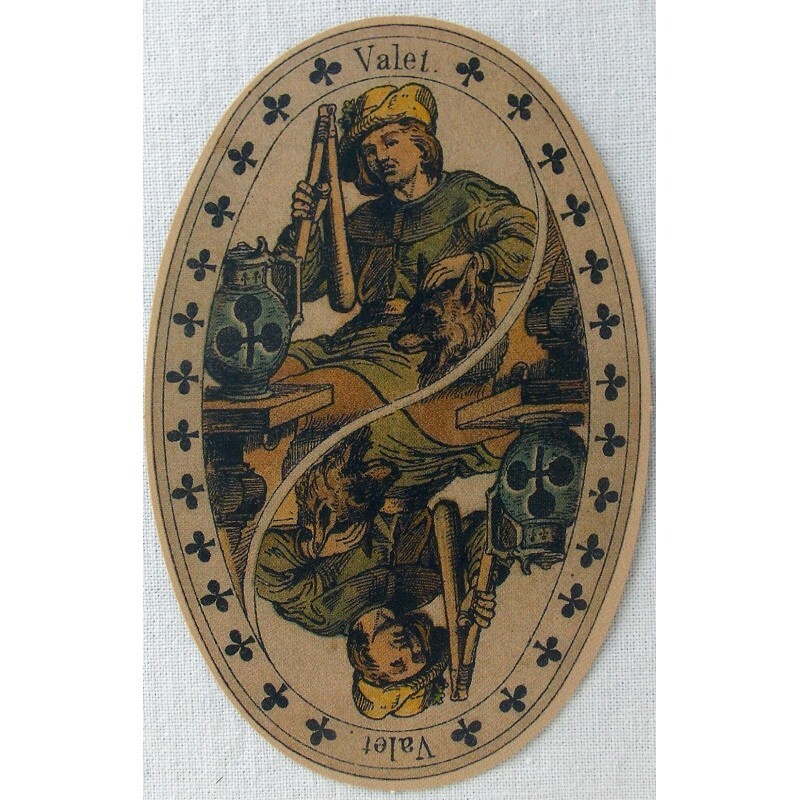 - Tarot Bulgaria ltd.
> Playing cards reproductions>Oval shape playing cards. Germany. 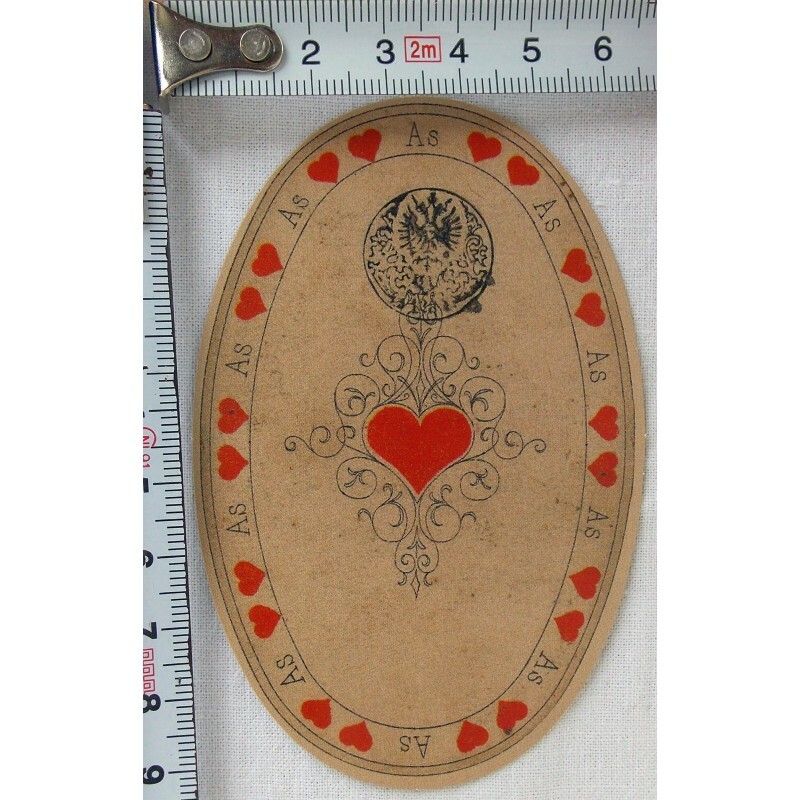 Oval shape playing cards. Germany. 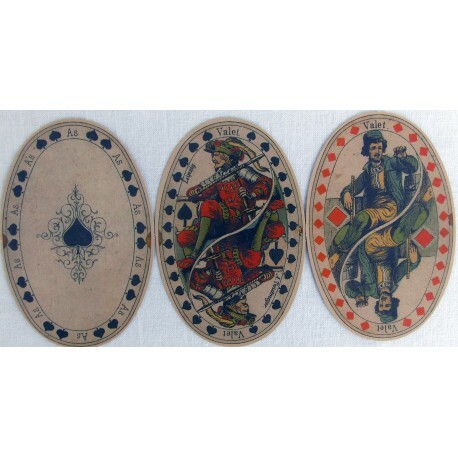 Oval shape playing cards. Germany. XIX century. 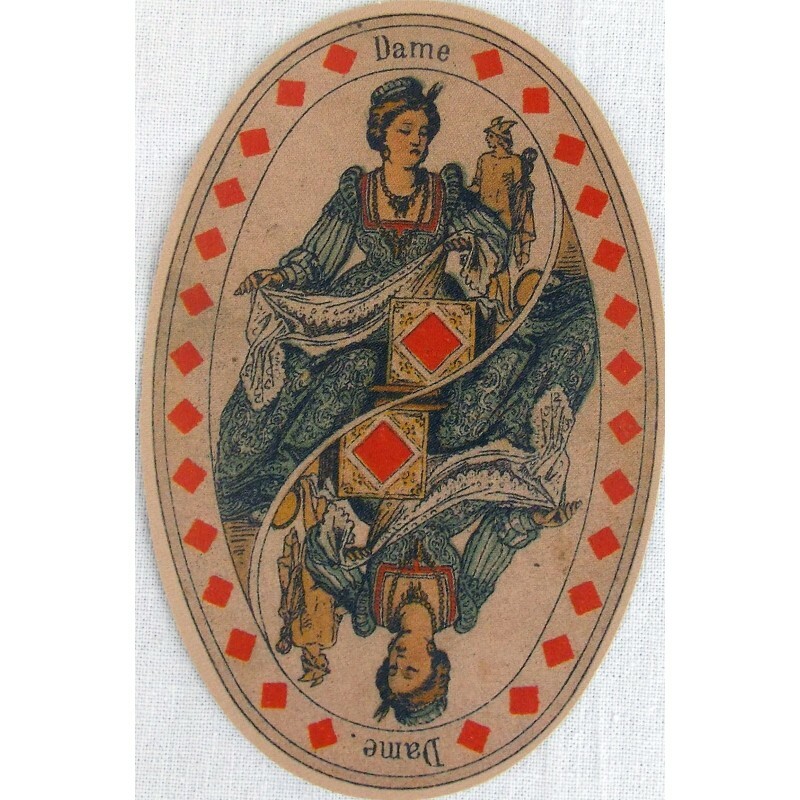 Size 10/6 cm ,32 cards.